Made with goatskin and double stitched with heavy duty nylon thread. The goat ain't happy but your wrists will be. Jason Lee, 7X BX Champ says "These gloves are the best wrist guard / glove combo I've ever used. That was the problem before, I used to have to put wrist guards over my gloves. Two seperate pieces. The hillbilly gloves have integrated both items. I'm psyched!" 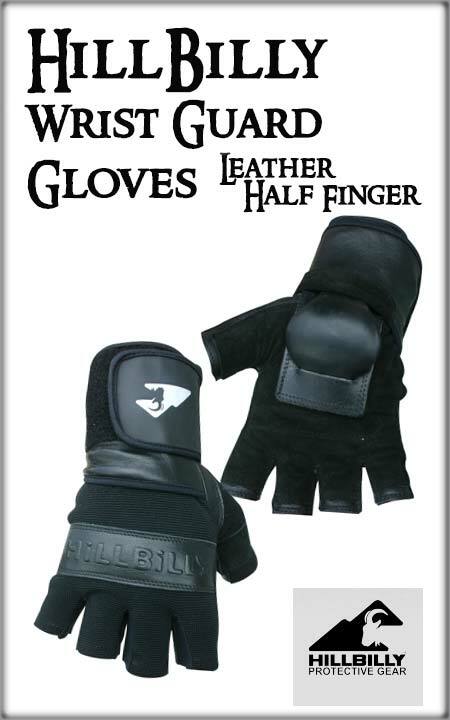 Convenient half length fingers allow you to do all you need to without ever taking your gloves off.